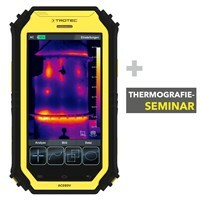 Grade A thermographer’s package with professional software edition. Trotec infrared cameras in the IC-series sell like hotcakes. Because Trotec makes professional thermography affordable for all. 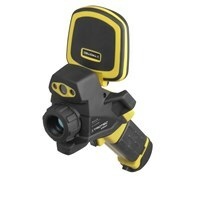 The idea: All IC-Infrared Cameras are equipped with professional basic functions. On superfluos functions has been omitted, so it has the slim look. 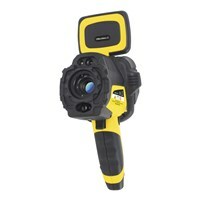 The temperature measuring range makes the difference between the IC infrared cameras - and the price. That's why you always have to pay just what you need. We call it clever. And You? By the way: Thanks to a professional basis equipment, the IC -Wärmebildkameras are ideal for all the important areas, such as for production control, facility maintenance, building thermography, electrical thermography, leak detection or for the energy advice. 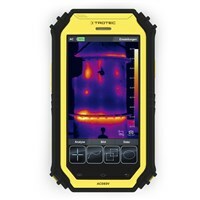 Infrared cameras of the EC Series - Professional quality need not be expensive! The new fully radiometric MultiMeasure imagers Trotec EC Series convince with precise thermographic measurements in real time, multiple functions and a temperature measurement range from -20 ° C up to + 250 ° C - combined with a optimum value for money!! The infrared cameras of the Trotec ICS-series are professional use in the surveillance area without compromise, for example, designed for border protection, the police or the military. 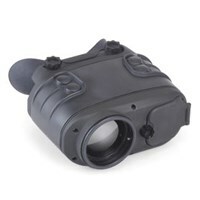 Infrared camera ICFA - especially designed for use by firefighters! 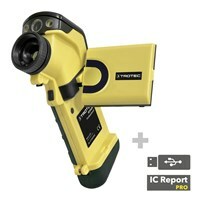 The Infrared camera ICFA has been quality certified and specifically designed for tough fire brigade. Ready to use in less than 15 seconds and appropriate of a more than 2-hour continuous operation. Even in darkness, passive surveillance systems protect people and assets from vandalism and burglary. Active systems, which beat the same alarm when critical temperature changes, apply particularly in industrial production. The ICSC infrared cameras do not require much installation work; thermographic monitoring is in every place possible - the economic solution for frequently changing applications. 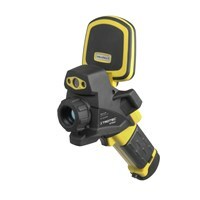 We offer in addition a wide range of accessories for our infrared cameras.